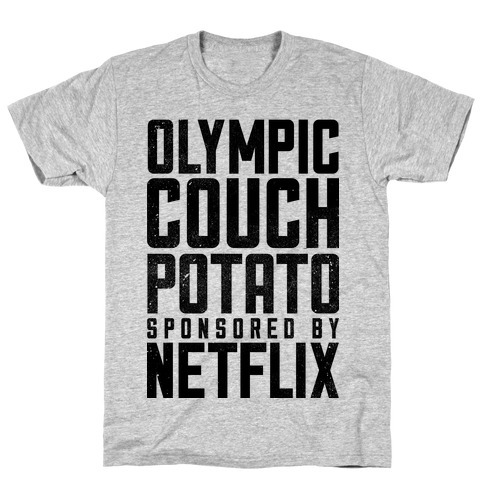 Browse our collection of 6 Couch Potato T-Shirts and more. Designed and printed in the USA. 100% Satisfaction Guaranteed. 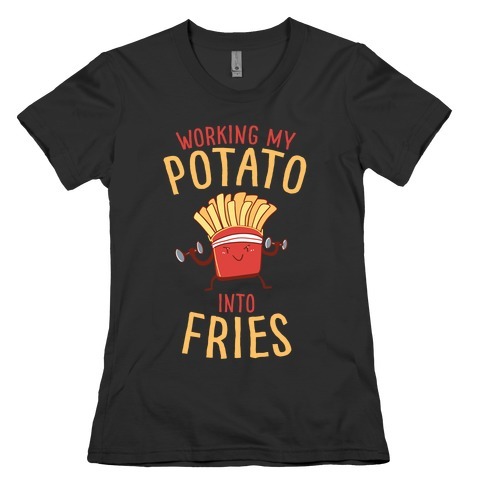 About this Design Mash it up at the gym with this tee! 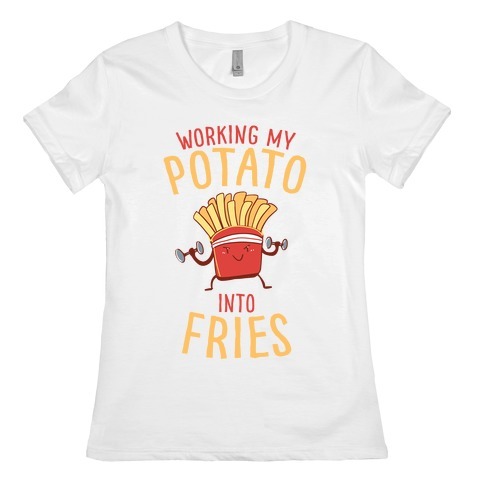 Mash it up at the gym with this tee! 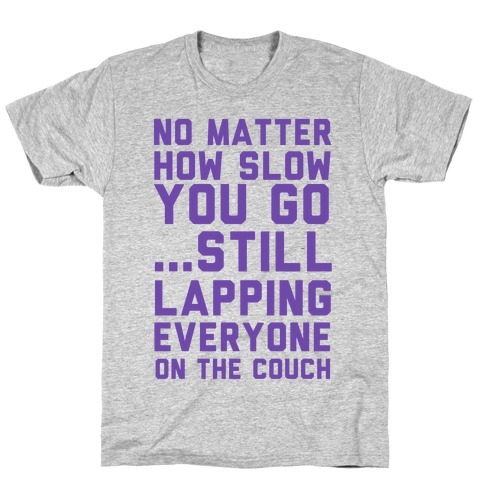 About this Design Here's a tidbit of fitsporation to get you through that workout: No matter how slow you go, you're still beating everyone on the couch. So keep your eye on the goal, keep running, stay at the gym and learn to be fitness smart. 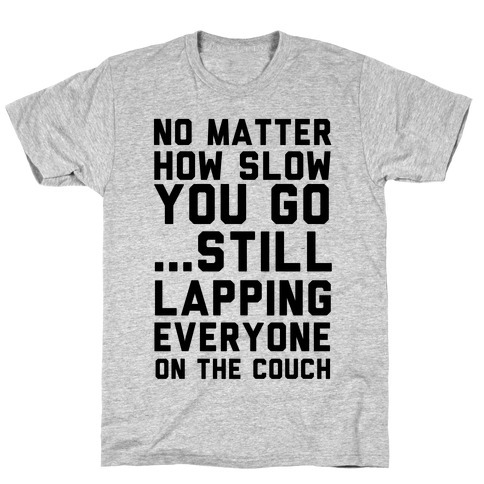 Here's a tidbit of fitsporation to get you through that workout: No matter how slow you go, you're still beating everyone on the couch. So keep your eye on the goal, keep running, stay at the gym and learn to be fitness smart. About this Design Who says "couch" can't be an exercise? No one, that's why it's your favorite. 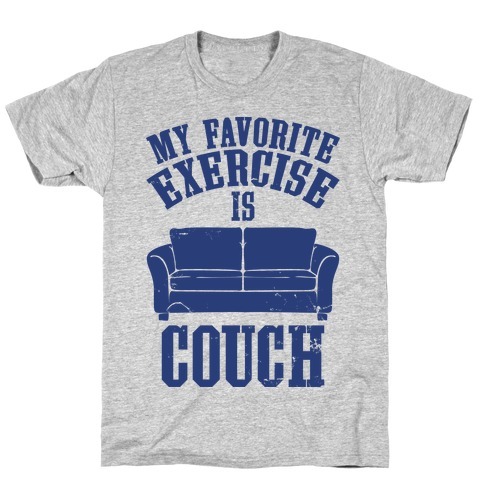 Who says "couch" can't be an exercise? No one, that's why it's your favorite.